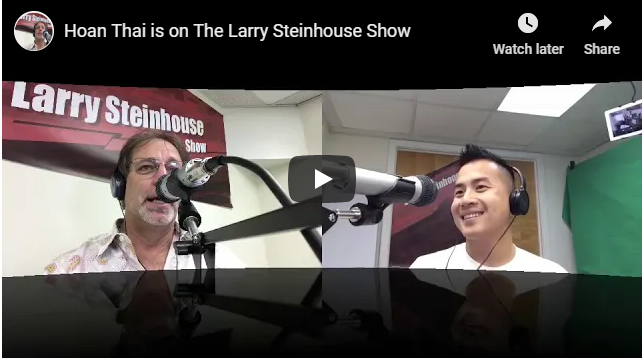 In this episode, Larry Steinhouse interviews, Hoan Houdini Thai, who has been a Philadelphia real estate investor for the last 7 years. He focuses mainly on section 8 rentals, multifamily rentals and single family home flips. One of his well-known skill sets is being able to explain complex strategies in an easy to understand manner. His four-step philosophy is: “first comes knowledge, then confidence, then action, then results.” The Houdini nickname comes from his ability to help people escape their 9 to 5 through real estate investing. He looks to help those brand new to the industry get started as well as seasoned investors step up to another level. He excels in raising capital, creative acquisitions, self-directed retirement accounts, tax efficiency, and deal analysis.